The Festive period used to be a particularly busy time when it came to watching Rangers. Games crammed in days apart to take advantage of the punters enjoying time off work. The points won or lost during this crucial period, which culminated in the Ne'erday match v Celtic, would go a long way to deciding the destination of the League flag. Despite the tight schedule of matches, Christmas Day has almost always been left out of the footballing calendar to let staff and fans alike enjoy it with their families. Since Scot Symon replaced Bill Struth as manager in 1954, Rangers have played on Christmas Day on only three occasions. The last time we took to the field on the 25th December was at Easter Road in 1971 where 30,000 fans missed the Queen's Speech and their turkey dinner to watch Rangers win 1-0 courtesy of Colin Stein. 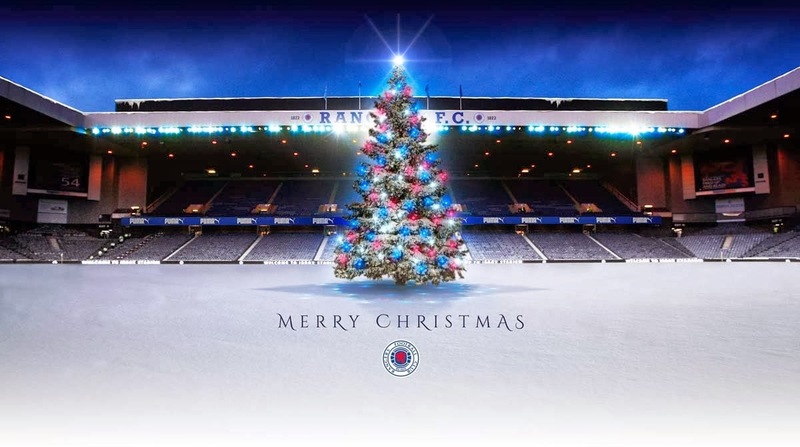 The first match which a fledgling Rangers Football Club played on Christmas Day was in 1875, a mere three years after the Founding Fathers first kicked in a ball in the name of Rangers and 15 years before the advent of league football in Scotland. The opponents were Caledonian, and Rangers ran out handsome winners by four goals to nil. 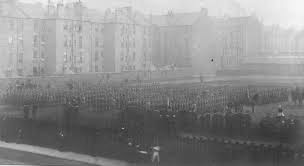 The match was played at Rangers first permanent home, Burnbank, on the south side of Great Western Road near Kelvin Bridge. Two players made their Rangers debut on that Christmas Day, David Hill at full-back and Sam Rickets in midfield. Both contributed a great deal to the making of Rangers. Hill became an international forward of note, while Rickets lived and breathed Rangers, giving his all to the club for many years. The first league match to be played on Christmas Day was in 1897 at Kinning Park, handsomely defeating Dundee 5-0. 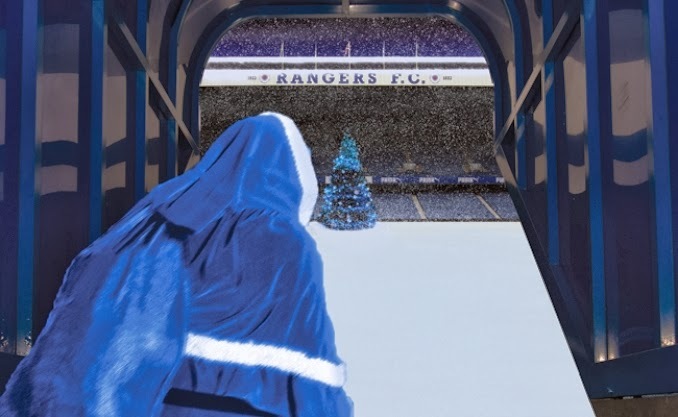 In total, Rangers have played 14 league games on Christmas Day since the formation of the Scottish League in 1890, winning 9, losing 4 and drawing 1. The most intriguing matches that Rangers have been played on the 25th December were those that were played in England on a regular basis between 1893 and 1907. From Everton, Preston and Newcastle, to Bury, Blackburn, Notts County and Fulham, Rangers have traversed the country in search of a game of football on Christmas Day. Whether these ' away days' were simply a festive break for the players, or glamour ties during the holiday period that promised some income, they happened on nearly an annual basis. 14,000 spectators turned up in 1893 to watch Everton win 2-1, in 1905, 16,000 turned up to watch Blackburn rout us 4-1. The last of these 'Tinsel Tours' seemed to come in 1907 with a trip to Craven Cottage to play Fulham. The Cottage itself, having been designed in 1905 by a certain Archibald Leitch, designer of Ibrox Park in 1899 and of course, architect of our magnificent Main Stand in 1928.